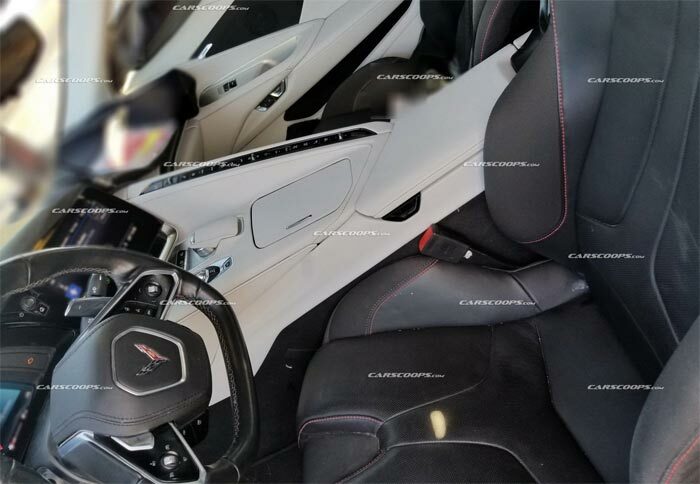 It was just over a month ago that CarScoops.com broke the internet with the first spy photos of the C8 mid-engine interior. Its reveal showed many of the details that had been alluded to over the last few months which included the slanted divide with the climate control buttons, a two-spoke steering wheel, and that funky gear selector. The images appeared to be framed as if someone leaned into an open window to the take the shots and only the interior is seen in the photos. Digital artist Chazcron over at the MidEngineCorvetteForum.com wanted to explore the interior and how it would fit within his renders. 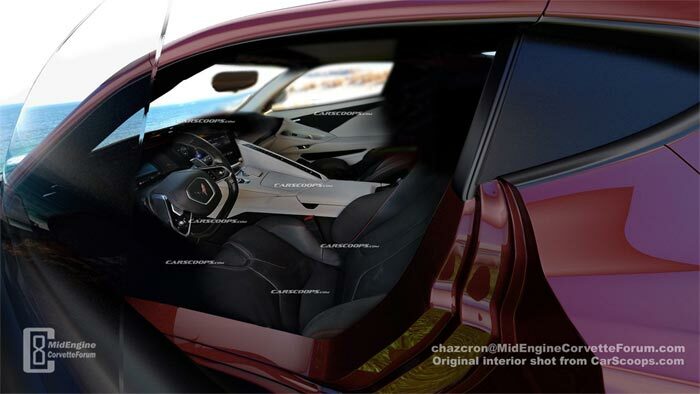 So he took the CarScoops interior photo and inserted it into one of his C8 renders so now it appears as though you are looking inside through an open door. The combination of the spy photo and the Long Beach Red exterior rachets up the realism of the computer render and the beach scene in the background is a nice touch as well. I’m finding with these renders that the better the background, the better the impression. 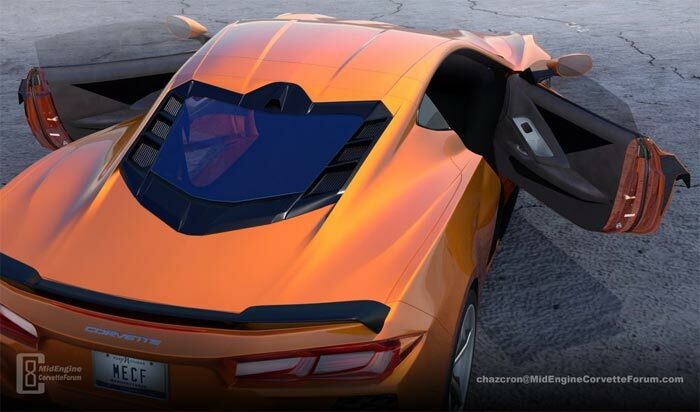 So now having some context with the interior, including the appearance of the passenger side door panel, Chazcron rendered the C8 coupe with both doors open and you can see the triangle pattern represented in black. The originalCarScoops.com spy photo is below that. Talking with some C8 Corvette enthusiasts following the release of the CarScoops interior photos, it occurred to us that the interior of the C7 Corvette was never seen prior to its reveal. On one hand its kind of sad that its appearance won’t be a total surprise as the C7 was, but at the same time, we are on a quest to learn as much about the car as possible and that includes where you’ll be spending your quality time in the C8. Now if we could just get a look at that frunk! Our friends over at the MidEngineCorvetteForum.com have been working overtime to bring you the latest C8 Corvette news and renders and I want to get a big shoutout to the community that’s being built there. The site recently surpasses the 2020 member mark with new enthusiasts joining daily so check it out and jump in the C8 conversation! No disappointment if thats accurate…..nice design,futuristic and appears very comfortable.